Kennedie June Von Ryan passed away in a car accident this past Saturday morning. Kennedie was the starting center on our 18 and under girls team. She had an amazing sense of humor and upbeat personality. 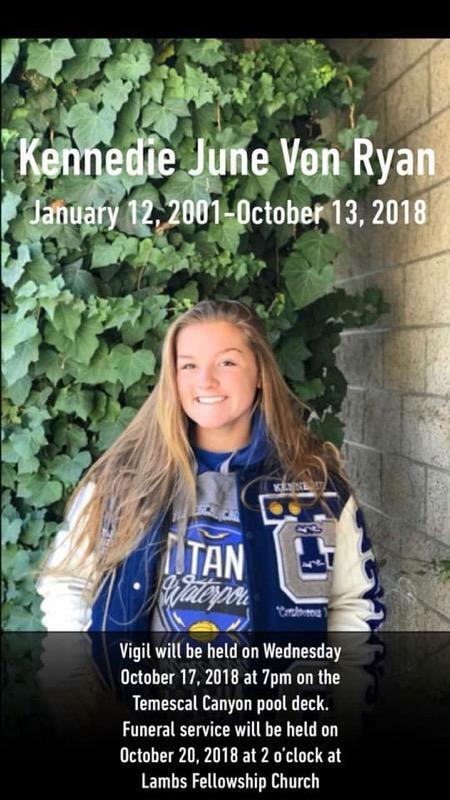 Kennedie was the most supportive and beloved teammate. Her enthusiasm and dedication endeared her to all who knew her. Kennedie Ryan will be greatly missed. The entire CHAWP family offers their condolences and support on the passing of Kennedie June Von Ryan. Please accept our sympathy for your loss from all of the CHAWP family. The Ryan family has asked that a scholarship fund to be set up to honor Kennedie. In lieu of flowers or any other financial support, the Ryan family ask that you donate to the Kennedie Ryan scholarship fund. 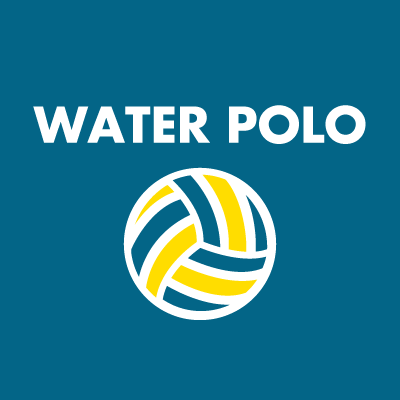 The scholarship fund will be used to support those needing assistance who are outstanding water polo players in and out of the pool who demonstrate dedication to the sport and their community just as Kennedie has done over the years. Donations can be made by using the established PayPal link in amounts listed or in multiples of those amounts.